If seeing is believing, and the beauty is in the eyes of the beholder, and any other cliche that you can think of, then perception is the key to opportunity. “If the doors of your perception were cleansed”, to quote William Blake the famous English poet, everything would appear differently. If those doors of perception, the way that you see things, were not clouded by disillusionment, everything would appear with a ray of sunshine and a touch of invincibility. Everything under heaven is possible under Blake’s train of thought, and those opportunists who believe the same way will see endless chances to live the way they want. Blake’s idealism might seem a little too glorified for many people, but nonetheless, there’s still a lot of truth to it. The clouds covering those doors of perception condition us to see life and its chances the same way as everyone else does, and this includes a mainly despondent population. Constricting our view of the possibilities is the endless haze of work, the need for money, the aggravation of endless e-mails, the need to hit the gym, the need to eat right, and the persistent nagging of aggravation. These obstacles are in the way of our discontent, and we, like most everyone else, think that they are a part of life that has to be mixed with the good. To put this into perspective, take for example, how much visual complexity there is in the world. Picture yourself walking through Time Square in New York City. How many visual stimuli did you actually see on your journey? Although your eyes probably captured most of the elegance of the urban centre, your mind filtered out most of the details and clouded your perception. Similarly, how many times do you look at your watch on a daily basis? If I asked you to describe what your watch looked like in precise detail could you do it? Each time you look at your watch you are checking the time – not the color, shape or how many buttons it has. So how can we change our perception to see the things we want to see? From our mental conditioning to our external environment there are many factors that play a major role in determining how our perception is shaped. What we perceive is a direct result of what we’re looking for. To change our perception we first need to condition our unconscious mind by consciously programming our thoughts. There is a simple yet effective process, Think, Do and Review, that you can use to do this. The second thing is to be in the moment. With so much to do and think about many people just take up space but aren’t really present. It’s like driving a car on a long trip. How many times does your mind wonder off when you’re driving and you say to yourself I don’t remember seeing that? We’ve learned to multitask and split up our attention into multiple chunks so that we can accomplish a lot more than we would if we had to do one thing at a time. The consequence of this action is that we shorten our attention spans and tend to lose focus easily. To help gain focus I use a cool little exercise, (I modified from Howard Berg’s Speed Reading course) called the Alphabet game. Sit in quiet room no distractions for 11 minutes. Focus on a picture of an apple (apple will be the picture word for the letter A). Make sure you see it in your mind’s eye as vividly as possible. When your mind wonders change the picture to banana. (banana will be the picture word for the letter B) Again see it in your mind’s eye as vividly as possible. Lastly become aware of your environment. Simply surround yourself with things and people that congruent with vision. Your unconscious mind will do the rest. Have you ever bought a new vehicle; one that you thought nobody else owned? Then all of a sudden you start seeing them all over the place. Or with the birth of your first child; did you suddenly notice all the other babies around? This is a result of your unconscious mind working. People perceive things different across the world. How you condition your thoughts, sharpen your focus and align your environment with your vision will determine the way you look at the world and how you live your life. It will dictate if you are an opportunist, see the positives in negatives, and see that opportunity is now here. Return to Pangaea: Has the Pendulum Swung Back? 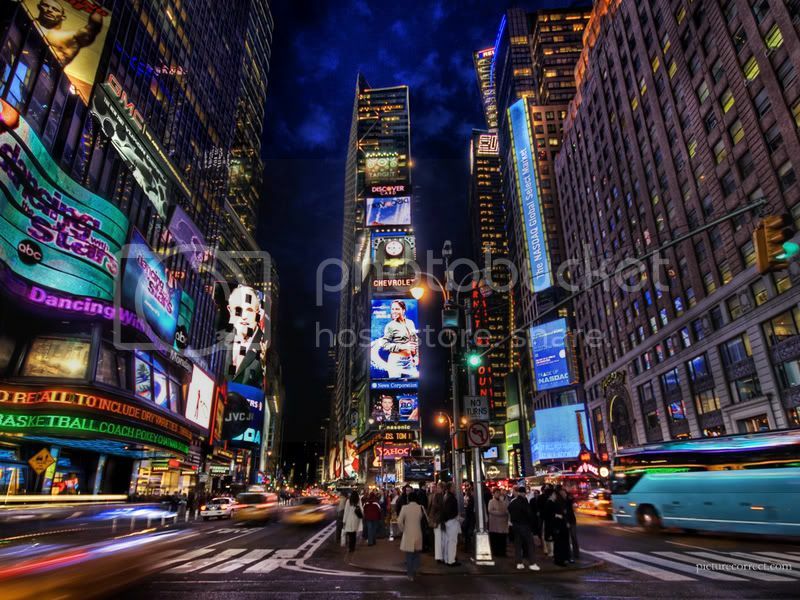 I would like to use the photograph of the New York at night for a scientific experiment and publish it in a scientific journal. Is there any protection on the picture?